Maze Runner: The Death Cure dashes from Jan. 12, 2018 to Feb. 9 where it will compete with Uni’s Fifty Shades Freed and an untitled Warner Animation film on the weekend prior to Valentine’s Day. I’ve updated the gallery with new outtakes of EW’s Comic Con shoot from last year. Production on The Maze Runner: The Death Cure starring Dylan O’Brien will start up again in February, sources tell Deadline. The production had shut down after O’Brien was sidelined after being seriously injured on the set in March while filming the third installment of the popular YA franchise and was hospitalized with injuries to his face. The production was supposed to start up on May 9 but that was postponed, as was the release date, to give O’Brien more time to convalesce. Fox had pushed the film’s release date from February 17, 2017, to January 12, 2018. O’Brien was said to have fallen off a set that was made to look like the back of a train and fractured either his cheekbone or orbital socket. The crew went their separate ways after the second postponement, but now schedules have been worked out to move forward early next year, albeit in a new location. Maze Runner: The Death Cure still will be directed by Wes Ball. The script by T.S. Nowlin was adapted from one of the series of the popular books by James Dashner. Wyck Godfrey, Ellen Goldsmith-Vein and Lee Stollman are the producers. Fox has moved back its release for “The Maze Runner: The Death Cure” by nearly a year to Jan. 12, 2018, as star Dylan O’Brien recovers from his March 17 injuries after an on-set car accident. Fox made the announcement Friday, a month after disclosing that resumption of principal photography on “Maze Runer: The Death Cure” had been delayed for a second time to allow O’Brien more time to fully recover from his injuries. The studio has not revealed when production will re-start. The movie — the third in the Maze Runner trilogy — had been set for a Presidents Day weekend release date of Feb, 17, 2017. Wes Ball is directing the film. O’Brien’s character is on a mission to find a cure to the “Flare,” a deadly disease. O’Brien was hit by a car and suffered multiple injuries on March 17 on the set in British Columbia. The 24-year-old actor was taken to a local hospital for observation and treatment following the accident. The 2014 original grossed $102 million in U.S. receipts, and 2015 follow-up “The Scorch Trials” tallied $82 million in domestic box office. Fox made several other release date announcements Friday, including dating “Alita: Battle Angel” for July 20, 2018. Rosa Salazar, who starred in “Maze Runner: The Scorch Trials,” has been tapped to play the female lead in “Battle Angel” with James Cameron producing and Robert Rodriguez directing. Watch Dylan as “Clever Trevor” on All Episodes of “Sweety”! As you may or may not remember, Dylan played Clever Trevor on the web series “Sweety” before he played Stiles on Teen Wolf. The first episode was released on Youtube back in 2010 and fans wondered when the rest of the series will be released. Recently, I found the rest of the episodes and a couple behind the scenes videos which can be viewed below. I’ve also added screencaptures to the gallery. Enjoy! 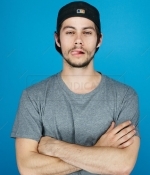 Thanks the amazing Mouza from tylerhoechlin.net, we have updated a Comic Con portrait session that Dylan did back in 2013 while promoting The Maze Runner & Teen Wolf. Enjoy! Dylan O’Brien, star of 20th Century Fox’s Maze Runner franchise, was injured on the set of The Maze Runner: The Death Cure today in Vancouver, BC. Fox said he was sent to the hospital. O’Brien apparently fell off the back of a set that was supposed to look like the back of a train and fractured either his cheekbone or orbital socket (still not clear on the details) when he fell on his face. The production has been shut down “while he recovers,” the studio says. Dylan O’Brien was injured yesterday while filming ‘Maze Runner: The Death Cure’ in Vancouver, Canada. He was immediately transferred to a local hospital for observation and treatment. Production on the film will be shut down while he recovers. Our thoughts go out to Dylan for a full and speedy recovery. Sending prayers to Dylan. Please get better soon and I hope you have a speedy recovery. Since things are a bit quiet (other then Teen Wolf news), I’ve updated the gallery with 2 additional stills as well as new behind the scenes photos from The Maze Runner! View them below. 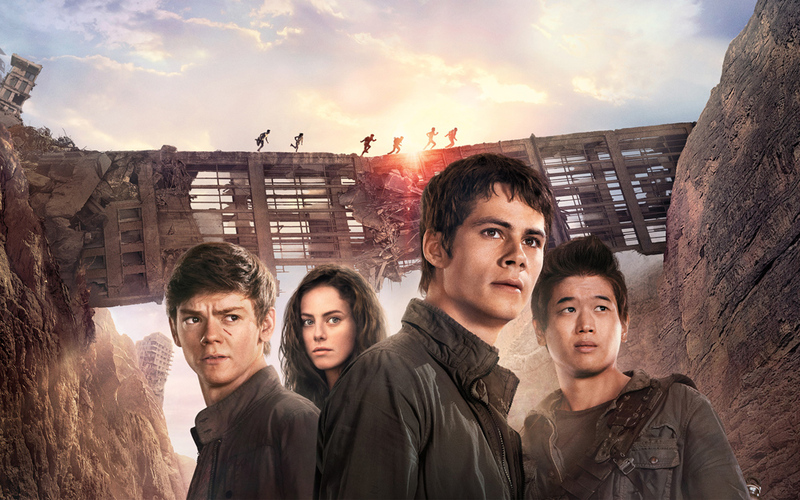 4 additional movie stills from Maze Runner: The Scorch Trials have been added to the gallery. View them in the gallery below. 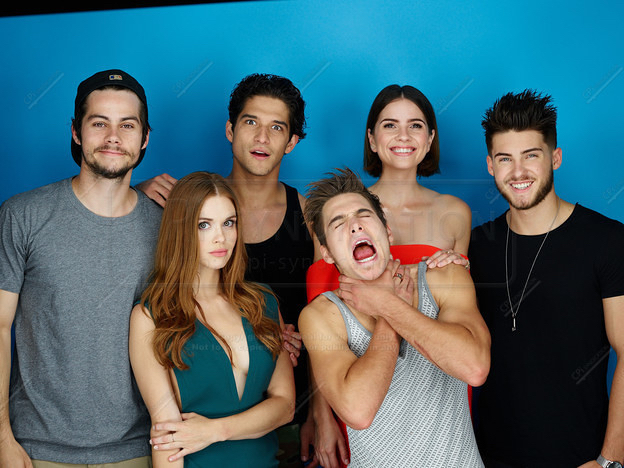 New photoshoot outtakes from Comic Con 2015 via TV Guide have surfaced online. Check them out in HQ in the gallery below! Enjoy!